Jonathan Alexandratos! – Oh, Bernice! 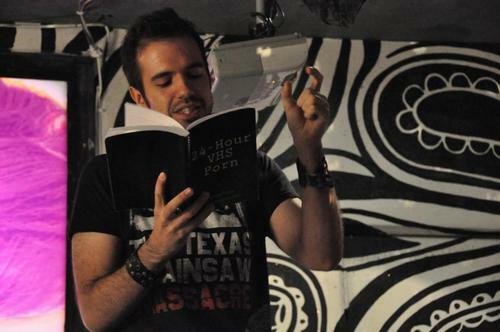 Jonathan Alexandratos (dramatist, prose writer, and part-time actor) will be reading this Saturday! Ask him about the one-act play he acted in (along with Bernician Brian Kim) back in the summer of 2010. Once he overcomes the trauma of those repressed memories resurfacing, he’ll be sure to entertain you with fascinating anecdotes! About a week ago, Jonathan Alexandratos found himself eating an early Friday night dinner of hummus, quinoa, and honest-to-God kale while watching Simon Schama’s ‘The Power of Art’ and, somewhere around Rembrant chopping up his last commission, he got the sense that, maybe, he’s becoming a parody of himself.